My Pet Your Pet is a new platform exclusively for (strictly vetted) dogs and owners who support each other with free pet day care/home boarding. 100 free memberships (worth £49.99!) exclusively for Pet Points members are up for grabs. To claim, enter affiliate code PETPOINTS on first page of sign-up, then add Discount Code MPYPFREE on following page. Get FREE pack of Dentalife dog chew sticks in delicous chicken flavour. Give your dog one stick per day to keep their teeth and gums healthy. Just fill out the form to try for free. Zoflora are giving away 250 bottles of Pet Odour Remover & Disinfectant. For a chance to get your hands on a free bottle just enter your details and spin the wheel of pawtune. Pop in your name and email address to claim a free pack of Wagg Dog Treats for a limited time only. You'll also be entered into a prize draw to wn a years supply of Wagg Dog food. ONE MONTH FREE DOG FOOD tailored to your dog worth up to £54. Just take the 2 minute doggy survey to create the perfect nutritional meal designed by experts for your pooch. Click 'GET FREEBIE' to claim your ONE MONTH FREE trial (£1 P&P) delivered to your home. Get free 50g sample pack of Go-Gat. Go-Cat gives your cat 100% complete balanced nutrion with fibres from natural sources to help digestion. In your free pack you also get money-off vouchers and chances to win cat food in competitions. Work out how much you need to exercise your dog each day by using this clever free online calculator. Just type in your dogs name and breed and it will give you an automatic calcuation for length of daily walks. Get a free woof brush with any order from Lilys Kitchen. A woof brush is a dental chew with a unique spongy texture which wipes away plaque to keep your dogs teeth clean and healthy. Want to get free food for your cat or dog by taking part in the Hills Science Plan Trial? Of course you do! Just sign-up using this online form to register. Successful applicants get told by 1st March. Improve the skin and coat of your pet dog or cat with this high quality formula made in the UK. The pack comes in easy to use sprinkle capsules. Try 60 tablets for free (worth £6.39) to support the maintenance of normal coat and skin health (P&P £1.99). While stocks last! Choose a free sample for your puppy, adult or senior dog from the Autarky dog food range. They also have a grain free option for dogs with sensitive tummy's. Just fill out the form and they will post you a free sample in the post. Use this simple form fill to claim a free sample of yummy Applaws pet food for your dog or cat to try. You can pick from wet or dry food in fish or chicken flavours. The recipes are wheat and gluten free to perfect for dogs with sensitive tummies! Find out what to do in an emergency with your pet with this essential first aid pet guide courtesy of the PDSA - a fantastic charity saving pets since 1917. Your free guide includes everything from treating heatstroke and attending traffic accidents. There is even a course if you want to take your training beyond the First Aid Guide. Claim free pet food samples for your dog or cat at Lily's Kitchen. Free samples are available for their full range of pet food (excluding full menu). We recommend you use free samples to try pet food if you have fussy pets or a new puppy. Call their customer care team by hitting 'GET FREEBIE' below. Would you like to feed your dog Purina's newest dog food Bakers® Dry? Sign-up to receive a free full size bag of Adult Dog in Beef/Chicken and vegetable variety. To receive your VIP pack (with free dog food and discount vouchers) sign-up to the Insiders Panel. Purina Dentalife is scientifically proven to help your dog's dental health. If you've never tried dental chews or use another brand now is your chance to try this variety for free. Just sign-up and you will receive a free sample fit for a medium sized dog in the post. The RSPCA do amazing work every year rescuing literally thousands of animals and wildlife. You can do your bit by showing kindness to animals. Sign-up to get the free guide book to animal kindness posted to you. Order a free treat bag of delicious dog food courtesy of Duncan's Deli. If you've never tried it before grab this freebie whilst it lasts. It's premium dog food made from a 100% grain free formula containing at least 50% meat or fish. 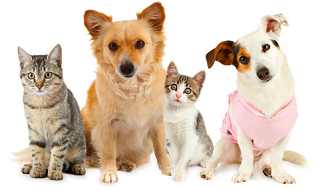 Does your cat, dog or horse have a wound that you want to heal quickly? Some pets are probe to cuts and scratches. 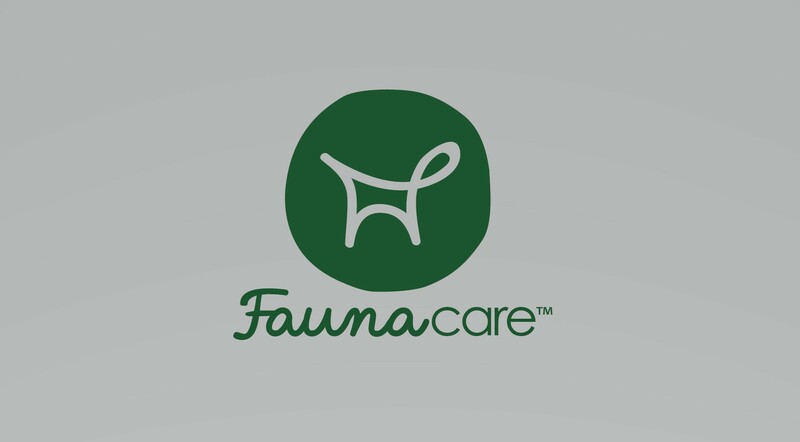 Be a product tester with this free Fauna Care Silver Spray and also receive money off coupons for future orders. Pet Pet Food make natural dog food certified cruelty free by PETA and scored 5 out of 5 on independent review site allaboutdogfood.co.uk and rated No.1 Best Dry dog food brand in 2016 by The Dog Digest. Try it out for yourself by requesting a free dog food sample. IAMS are giving away free samples of their ProActive Health range packed with 47% more animal protein than the top two leading brands. Your free sample box contains 1x 100g IAMS ProActive Health Adult Cat Rich in Chicken and 1x 85g IAMS Delights Adult Cat with savoury Chicken and Turkey delivered in 28 days to your home address. Get a free sample pack of Ambassador dog food from those lovely guys at Nutts About Pets. To claim your just hit 'GET FREEBIE' and follow instructions to have your free sample pack sent to your home. Get this fantastic free guide to understanding your cats behaviour from the UK's leading animal charity Cats Protection. It includes essential advice like learning cat language, cat etiquette and the key to giving your cat a stress-free and happy life. For a limited time only get a free pack of FELIX FunSauces when you claim GO-CAT Crunchy & Tend Adult sample (also free!). Just hit 'GET FREEBIE' and fill out the form to get your free samples posted to your home within 14 days. That's right, your cat could be receiving a delivery of nearly 13kg of Go-Cat food. To qualify just write a short review of whichever Go-Cat food your cat prefers and you'll be in with a chance of winning 6 months worth of your favourite Go-Cat. Try Perfect Fit Advanced Dry dog food for free. Perfect Fit is expert nutrition to feed you dog's spirit of youth throughout his life from good oral health to healthy skin and coat. Just answer a few doggy related questions and create an account online to order your free pack. Take part in Powr of You study and earn £25 per month as a reward paid via Paypal or Amazon vouchers. Powr of You offer a data marketplace where you can get paid for your data online. They want pet lovers like you to answer and survey and receive money in return. Check to see if you qualify by hitting 'GET FREEBIE'. Try IAMS ProActive Health for free. You are invited to try IAMS superior nutrition cat food containing more animal protein to ensure your kitty stays full for longer. TRND are a market research panel looking for 2,000 cats and owners to receive a 4 week trial with 2 x 800g bags of IAMS ProActive Health Chicken for adult cats, handbook and money off vouchers. Sign-up for free. Get a free sample of dog food delivered direct to your door. This dog food is made of at least 70% meat so definitely worth giving your pooch a tasty treat for free. Little Chompers are specialists in making hypoallergenic, grain, cereal and gluten free food for your dog or puppy. All free from artificial flavourings which can affect your dogs behaviour and harm their digestive system. Try a dog food sample here for free. Pedigree are offering a money-back guarantee on Jointcare + sticks. To claim you need to feed the dog daily over 6 weeks and if you are not happy that your dogs mobility has improved they will give you a full refund. Enjoy freebie samples of Trophy Complete dog or cat food. You can order up to 3 free samples to try for your pet. Choose which flavour your prefer and receive your free pet food samples in the post within 7-10 days. Sign-up to receive the first edition of Total Dog Magazine. Free copies are limited so complete the short form to get yours before they run out. Simply create a profile by entering your email address and receive a 400g free bag of cat food from the Royal Canin feline range. Can't say fairer than that!